The clients' project goals were to design a site specific residence that responded to earth, water, sun, wind, views and the woodlands. Of all of these factors, westerly and northerly winds are the most dominant force on this site. The home centers around an open living-dining-kitchen. This area includes a solar crescent paved with loose river stones for seasonal plants and vegetables, a masonry heater with bread oven, and an open kitchen plan with precast concrete countertops. The home was made energy efficient, through the use of geothermal heating and cooling, passive solar and the capacity for active solar. 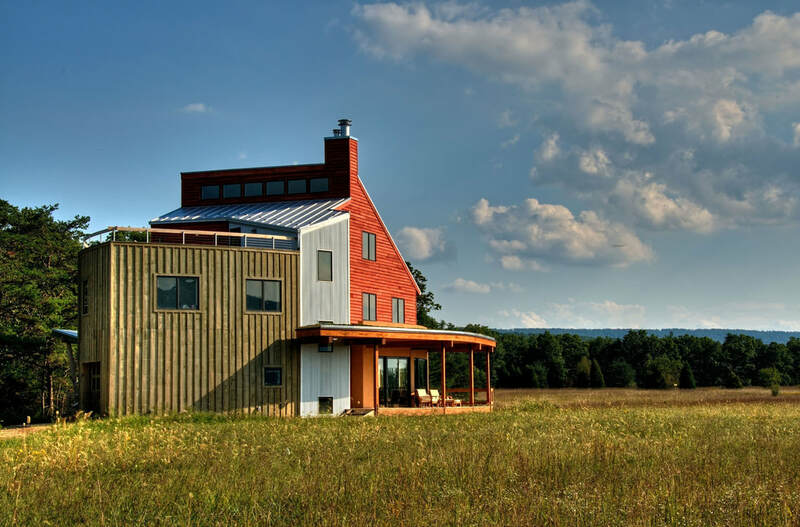 The house features five curved insulated concrete form walls, a green roof, masonry heater, moon roof, solar roof, corrugated metal, stucco, rain boxes, a radiant slab and use of six domestic renewable woods. The residence won a WV AIA Design Award.